Palace and Adidas are teaming up for yet another collaboration for this F/W 18 season. Two contrasting colorways of the new trainer called the “Campton Trainer” will be releasing. 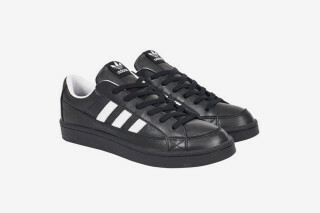 Colours featured on the first shoe will be a primarily black upper and sole with white hits on the classic three stripe branding on the side. 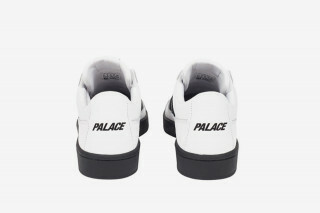 Inners of the shoe feature a contrasting white colour to make it pop and standout against the black. 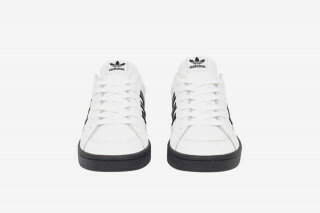 The second colour is exactly opposite featuring a primarily white upper with black hits on the three stripe branding. There has been no hints to whether this collection will include any apparel as the two companies usually produce but with the collaboration coming up so soon I am sure we will find out soon! Stay tuned for updates.